Fixing and flipping is one of the most popular ways to make money in real estate. It sounds easy enough – buy a house that needs some work, fix it up and sell it at a profit. The concept is simple. The biggest challenge – assuming you’re already comfortable renovating or working with contractors – is finding the right house to flip. Read up on how to evaluate potential investment properties and find a gem that nets you a nice profit. Before you start house hunting, it helps to know what you’re hoping to find. Here are the most important aspects to focus on and how to identify premium fix-and-flip opportunities. Start by looking for a home that resembles most of the other homes in the neighborhood. It can be tough to sell a home that has fewer rooms and square feet than the competition. On the other end of the spectrum, you may struggle to get offers for a 3,000 square foot two-story home if it’s surrounded by 1,800 square foot ranches. Try to find homes with the same number of bedrooms and bathrooms as most of the homes nearby. The same goes for square feet (give or take a couple hundred). Another advantage of doing this is that you can check out what similar homes look like and how much they’re selling for. This can give you an idea of the work you’ll need to do to get a comparable price and help guide your renovations. When you evaluate the condition of homes, start by looking for issues with the plumbing, electrical system, foundation and roof. These are generally the most difficult and costly to fix. Unless you have experience in those areas, it’s typically best to pass on homes that require such massive projects. In most cases, your goal should be to find homes that need a cosmetic rehab. This includes new flooring, paint, fixtures, doors, landscaping, and kitchen and bathroom remodeling. To complete a full cosmetic rehab on a starter home, experts advise that you can expect to pay about $20 per square foot. The most profitable flips are often the ones that need the most work. Just be sure that you have the skills and/or contractor connections to complete the work within your budget. If you’re like most flippers, your goal is to turn a profit quickly. That means you need to find a property that is priced below its potential market value while giving yourself some financial wiggle room in case a project expands in scope. To do that, use the “70 Percent Rule.” This is especially helpful for first-time fix-and-flippers trying to figure out how much to invest in a home. Say a home’s ARV would be $100,000 after you make $20,000 worth of repairs. Multiply the ARV by 70 percent and you get $70,000. Subtract the $20,000 for repairs and you get $50,000. This is the recommended amount you should spend on the home to help protect yourself against unforeseen expenses, cover the home selling costs, and pave the way to a profit well worth your time and effort. A home’s location has a major impact on how much you can sell for and how quickly. Regardless of price point, you’ll have a much easier time if you find a home in a neighborhood where residents show pride in keeping up their homes. Look for well-kept lawns and porches, nicely paved sidewalks and streets, and working street lights that illuminate the neighborhood. Boarded-up homes, litter, and overgrown landscaping are red flags that you may struggle to flip the home you fix. It’s also wise to do some research on the local housing market and surrounding area. Are home values in the neighborhood rising or falling? How quickly have homes been selling? Is there a growing downtown area nearby? Positive market trends and amenities are a huge plus because you should see plenty of attractive offers when it’s time to sell. Only trouble is, other investors are likely to be aware of these factors too. To snag a bargain in an area poised for growth, you’ll need to act fast with a strong offer. The biggest key is to find a home that is priced well below what similar homes in the neighborhood are selling for. As a general rule, look for the worst home in the best neighborhood. Start with that approach, and keep in mind that it will probably take some time to find the right property. Once you feel confident in your ability to evaluate homes, where can you find properties at a discount? There are many places you can look, and the more tools and methods you use, the better your chance to spot a bargain. Check out as many homes for sale as you can. Over time, you’ll get faster at gauging the repair work needed and calculating what you can sell a home for when you’re done. The resources below are simple to navigate, free to use, and should provide a wide range of homes to investigate. More than 90 percent of homes are bought and sold through the multiple listing service (MLS). MLSs are private databases maintained by real estate professionals to help clients buy and sell homes. Many of the listings you see online at home search sites are sourced from the MLS. Most of this information – but not all – is provided to the public free of charge by participating brokers. However, to get all of the information available, you’ll probably need to pay about $20 to $50 a month for access. The biggest advantages of using the MLS – either directly or through home search sites – is that you can see the most homes for sale online and in one place. It’s easy and convenient to compare homes, view photos and record prices to get a sense of the local market. In many ways, auctions are a fix-and-flipper’s dream. The homes for sale are foreclosures, so they’re often underpriced and in need of renovations. You also won’t find nearly as much competition to buy the homes because they aren’t listed on the open market yet. There are drawbacks, however. Many foreclosed homes come with tax liens that can cost thousands of dollars. There can also be ownership complications, so it’s wise to spend around $100 to have a title company run a report and uncover any issues. The biggest obstacle for many is that auctions often require cash upfront to win a bid. Not only will you need to have a large sum of money or cashier’s check on hand, you won’t be able to tour the home before committing to the purchase. You can find foreclosed homes and auctions on sites like RealtyTrac.com and Auction.com, bank websites, and government organizations like Fannie Mae, Freddie Mac, and the Department of Housing and Urban Development. Even though Craigslist remains one of the largest online marketplaces in the world, it’s easy to dismiss or even forget about when you’re searching for homes. As a fix-and-flipper, don’t make that mistake. It’s another free resource that can reveal deals you might not find anywhere else – especially if you get a little creative with it. To start looking, just search with keywords that can lead you to distressed properties. “Bank owned,” “REO,” “Foreclosure,” “Cash sale,” “Short sale,” and even “Fix and Flip” can all reveal potential opportunities. A more roundabout way to find bargain properties is by reaching out to landlords. Many homeowners are either losing money on rental properties or simply want to move on. What often stops them is that a home requires time, effort and repairs to sell. Fortunately for them, this is exactly what you’re willing to provide. Search Craigslist for rental listings that look like they’ve been posted by independent landlords. 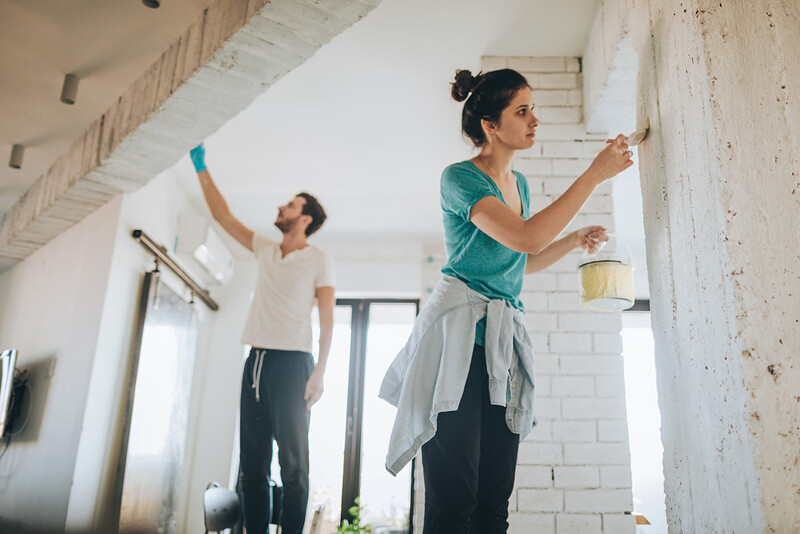 When you find a home with potential, reach out and explain that you’re looking to invest in a fix-and-flip. The landlord might be willing to sell one of their properties or put you in touch with another landlord interested in selling. One of the best ways to find underpriced homes is by searching property records. These are filed by county courthouses, county recorders, tax accessors or various county or city departments. If you want to find out about short sales, foreclosures and homes on the brink of foreclosure, start by doing some digging online. Use Google to search for your county’s websites or legal notices in your city. Not every local government does things the same way, so if you’re not having any luck, you can also try visiting the county courthouse or recorder’s office. Looking at homes and imagining the possibilities is exciting. So is thinking about making tens of thousands of dollars in a few short months. That’s why if you’re looking to fix and flip your first home, it’s especially important to be patient and do your homework before committing to a purchase. Even after you find a home that seems to check out, it’s best to consult with an inspector or professionals who specialize in repairs you’re not familiar with. Minimizing risk is the best way to maximize your profits!